Magic Kingdom Dispatch: TREASUREMAP and FAIRVIEW. Mr. Binney then talks about TREASURE MAP. Mr Binney notes that both CIA and FBI have access to the data. So does DEA, IRS, Treasury, and DHS. 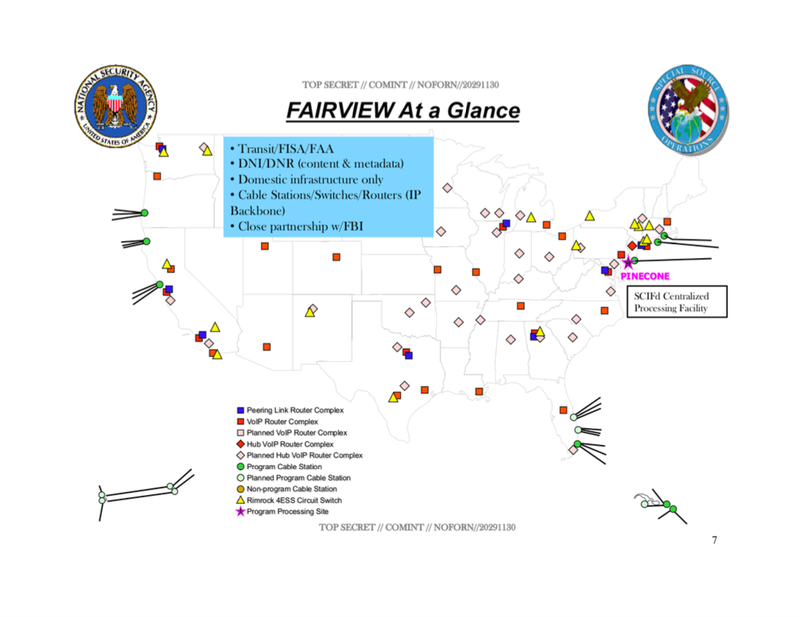 Binney notes, if NSA were only focusing on foreign collection, then the only collection sites would be on the East and West coasts of the United States. 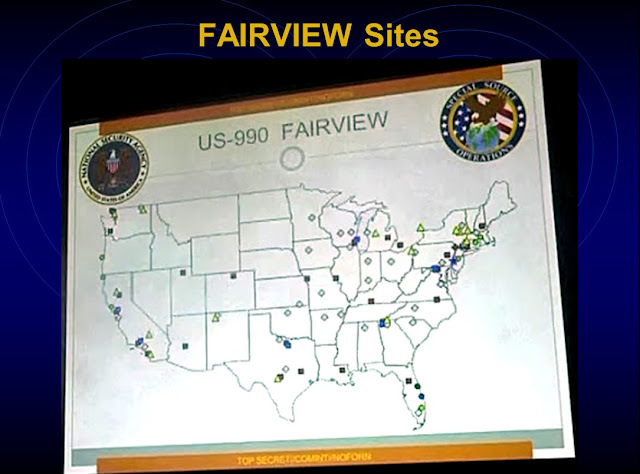 The FAIRVIEW slides show how the collection sites mirror the distribution of the American population. They are focused on domestic collection. These are the slides that upset Mr. Binney.